Steven Young, President, Bosch Turkey and Middle East, was born in 1964. Young studied engineering at University of Wollongong in Australia, continued his education at University of Technology in Sydney and at Australian Instute of Management attaining his postgraduate degree in management at Deakin University. Steven Young started his career at Mannesmann Australia in 1988 as a Special Projects Engineer, performing various functions until 1994, including Germany. In 1994, Steven Young started out working at head office of Mannesman Rexroth in Germany and in 1995 Young was assigned as Managing Director at Mannesman Rexroth Turkey. In 2001 after the acquisition of Rexroth by Bosch, Young became the Managing Director of Bosch Rexroth Otomasyon Sanayi ve Ticaret A.Ş. 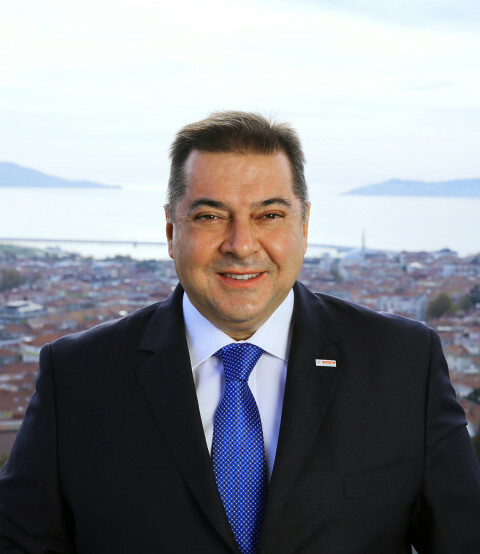 From the beginning of 2011 until the end of 2014, he was assigned as General Manager of Bosch Sanayi ve Ticaret A.Ş. and Representative of Bosch Turkey. As of January 1st, 2015 Steven Young has been appointed to his current position. From February 2015, Young became G20/B20 2015 Turkey Employment Task Force Co-Chair and as of November 2015, he began to hold the presidency of Turkey-Germany Business Council, Foreign Economic Relations Board of Turkey (DEIK). Between 2013-2016, he was assigned as vice president of AHK (German-Turkish Chamber of Industry and Commerce). Between 2017-2019 He was assigned also as vice president of the executive board of YASED (International Investors Association), founding member of TUSIAD/TCCI (Turkish Industrialists' and Businessmen's Association) and German High School Administrative Committee. Steven Young speaks Turkish, English and German fluently. He is married and has 2 children.